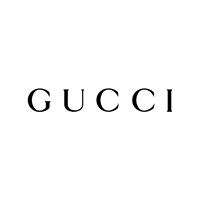 Living a Fit and Full Life: Get Beautiful this Spring with Gucci! The sophisticated Sheer Blushing Powder softly illuminates and awakens the complexion for a radiant shine. 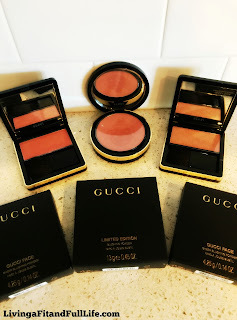 Ultra-fine powders are jet-milled to create a soft powder blush, which gives a veil of color to the cheeks and adds balance and natural depth to the face. Jet-milled and blended with gold undertones for exceptional refinement, Golden Glow Bronzer glides onto the skin’s surface for a smooth, virtually flawless finish. 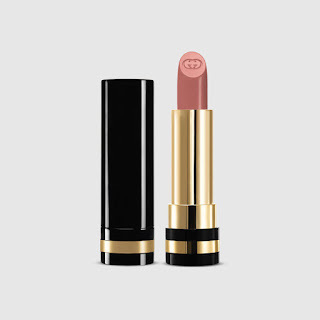 Gucci Sheer Lipstick’s light formula glides on evenly and smoothly, moisturizing while adding a semitransparent color. Vibrant Demi-Glaze Lip Lacquer delivers a dose of intense color with a demi-glaze finish and a sophisticated shine. Packed with pigment, the gloss lacquer is formulated with an expert balance of oils for a rich, creamy consistency. Designed to enhance and elongate the appearance of lashes, our Infinite Length Mascara combines an innovative elastic formula with a brush intentionally made for precise application. The ultra-fluid, malleable formula clings onto bare lashes and stretches out past the tips. Apply the applicator to the base of the lash. Slowly stretch the formula and move the brush left and right, working the product through towards the tip of the lashes. Repeat until desired length is achieved. 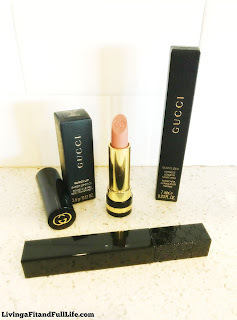 Get Beautiful this spring with Gucci! 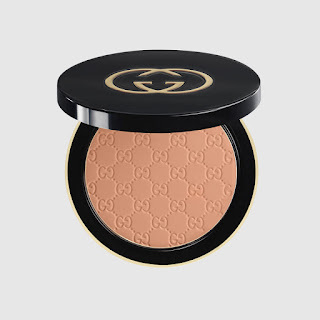 Gucci makeup is definitely some of the best makeup around. Everything I've ever tried from Gucci has left me impressed, including my latest finds. They're the perfect way to refresh your makeup routine this spring! 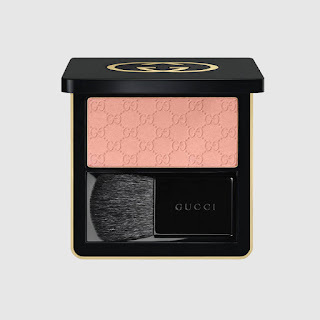 Gucci Sheer Blushing Powder comes in an absolutely stunning case and blends like a dream! The powder is ultra-fine so it blends in with ease and allows you to build it to your custom specifications. 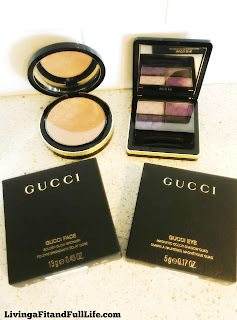 The shades I tried above are gorgeous and I absolutely loved all three and think that they would be great for just about anyone. Gucci Sheer Blushing Powder is the perfect way to add a beautiful veil of color to your cheeks and add balance and natural depth to your face! Carribean Ochre, Golden Glow Bronzer left my face looking beautifully bronzed! I absolutely love the natural bronze color it gave my skin which isn't always easy since I'm so fair skinned. It's incredibly lightweight and adds just the right amount of glow to my skin! Gardenia, Sheer Lipstick feels heavenly on my lips! It moisturizes my lips all while adding a semitransparent color that looks great anytime of day. It's the perfect lipstick! 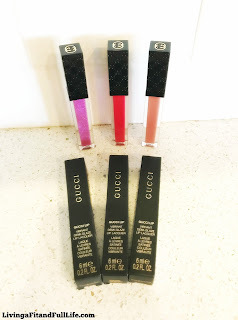 Gucci's Vibrant Demi-Glaze Lip Lacquer is an amazing lip gloss! 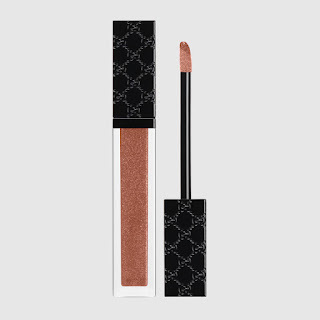 This lip lacquer has a demi-glaze finish and a sophisticated shine that you'll surely love. The color is intense but I have to say it actually looks pretty good and does a wonderful job to help you stand out from the crowd! 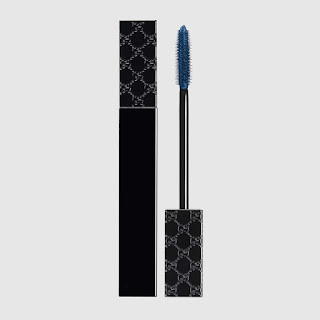 Gucci's Infinite Length Mascara is phenomenal and is by far one of my favorite mascaras to date! I absolutely love how well it glides on my lashes to both lengthen and thicken them. Another thing to love is that it leaves behind no clumps. It's also incredibly buildable should you want to make your lashes stand out even more. It's an amazing mascara that leaves your lashes looking incredible! 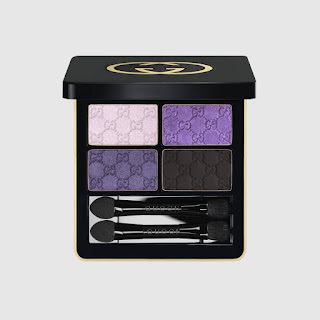 Smoky amethyst, Magnetic Color Shadow Quad from Gucci is another amazing product! I love how well the shades in this quad palette go together and that it comes with everything you need to perfect your look. The shadow shades are buildable so you can make your look as bold as you want. The eyeshadow colors are jet-milled making for a luxurious application that glides on with ease and stays put. This quad palette is the perfect way to update your look! Gucci has everything you need to get beautiful this spring!